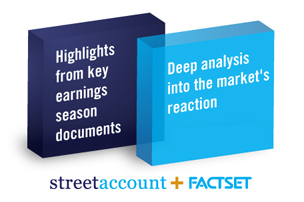 To initiate a trial or to inquire about pricing, please click the link below, or email sales@streetaccount.com. We offer multi-user discounts beginning with the second user. Payment can be made on a quarterly basis, or save 15% with an annual subscription.